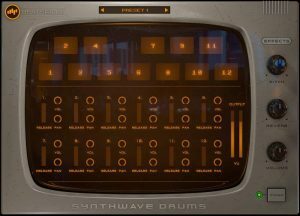 “Synthwave Drums” is a resurgence of the 80s drum sound in the 2010s and follows the principals of the retro production styles. 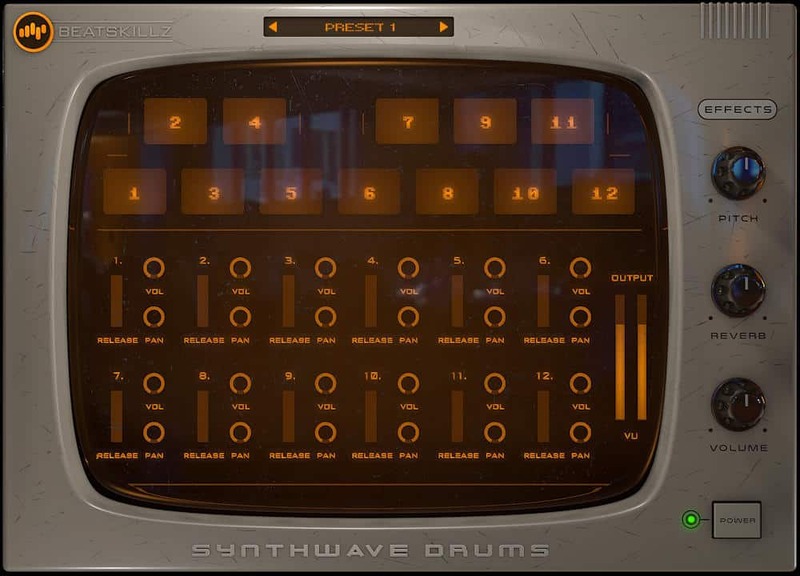 Synthwave Drums not only brings you all the popular drum machine sounds, but also brings dry and processed versions that sound exactly like the records you’ve heard! 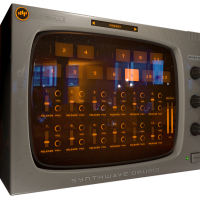 Step Back In Time – A Vintage 80’s Drum Machine Plugin! The 80s defined the era of Synthesizers and Drum Machines. This is the time when great musicians suddenly had electronic instruments at their disposal, and a new genre of music evolved. Certain drum machines defined and made the 80s sound instantly recognizable. 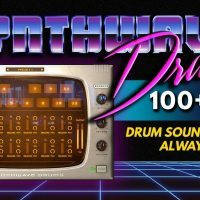 With “Synthwave Drums” Beatskillz have done the hard work of capturing this magic for you, giving you over 100 preset banks of 12 sounds per preset. That’s over 1200 drum sounds! They didn’t just stop there, their plugin GUI has been lovingly designed to inspire you and put you in the mood for “synth wave”! The Drum Sound That Defined the 80’s – Locked & Loaded! Often when you buy emulations or samples of just the drum machines, the sounds are too raw and sound nothing like the sounds of the genre. These drum sounds came from early samplers and analog synthesis. Romplers/Samplers were 8 and 12 bit and made any sample put into them sound “unique” and it did not sound like the original recording. Lower sample rates of 10-22khz and early D/A converters also played an important role in defining the Drum Machine Sound! A total of 1356 Drum One Shot Sounds! 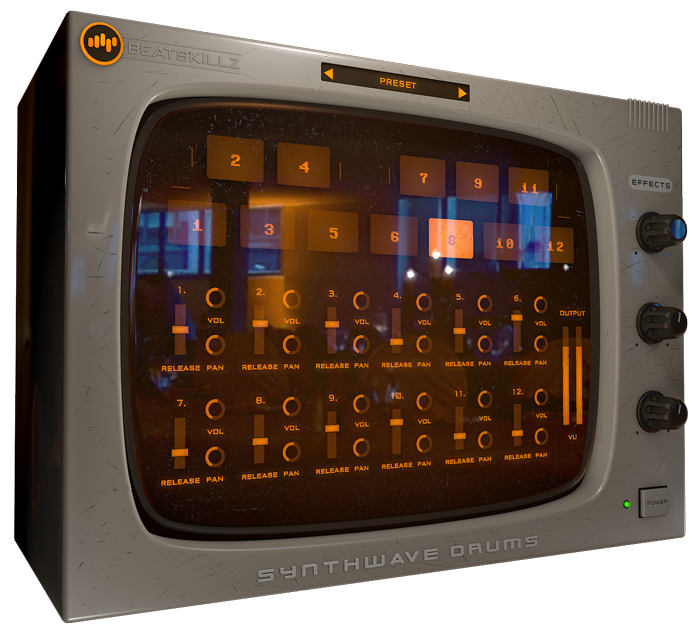 Take Control of Your Drum Sound With An Inspiring GUI! 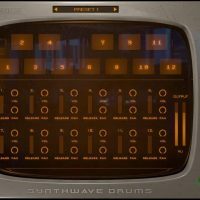 The “Synthwave Drums” GUI is not only beautifully inspiring to look at, it is also highly practical with an easy to understand layout and many controls to help you shape the sound to your specific needs. The 12 drum samples per kit are mapped from keys C1 to B2. The Kits 1- 63 have “drum-type” mapping on each of the 12 keys, so these kits can be swapped and kick, snare, hats etc will be on the same keys. Beatskillz have provided separate installers for the Stereo Mix output of the drum kits and also individual multi out versions of the plugin. The Multi-out version lets you put each of the 12 sounds in a kit/bank onto its own channel in your DAW, allowing you to further process the sounds as per your liking. So What Exactly Can I Do With “Synthwave Drums”? Normally €69 – get it at 64% off before it’s gone! 64% off the normal price (normally €69)! 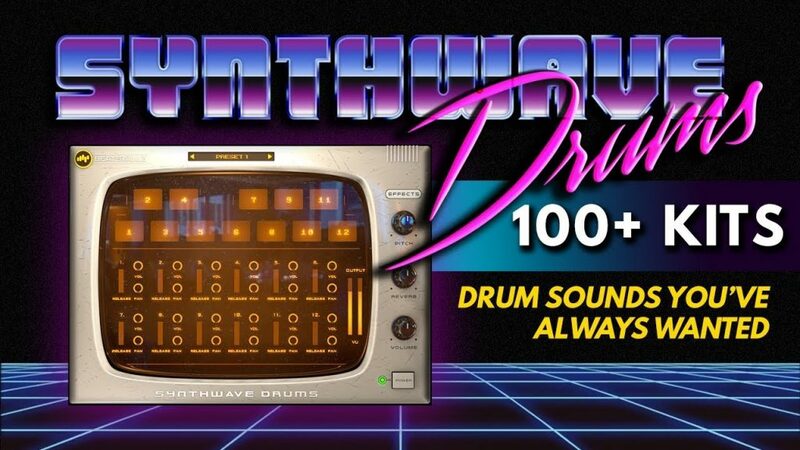 The ultimate vintage 80’s drum machine plugin! Perfect for 80’s Synthpop, Synthwave, Dreamwave, Outrun styles and much more!